The MobileMount also includes a special attachment for action cameras. Get those shots in any environment. Wrap the legs around a tree or pole for that awesome prospective shot. Use the Smartphone mount to take selfies. Attaches to smartphones up to 3.4 inches wide. 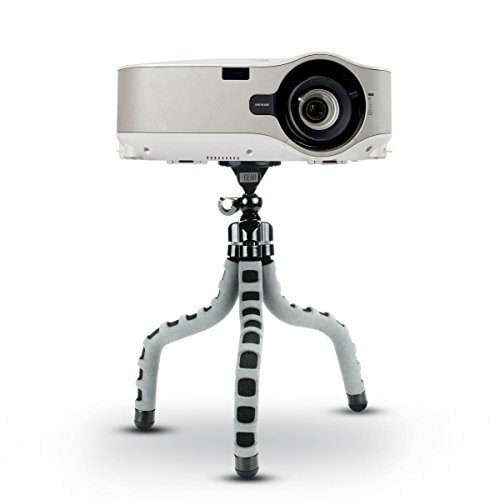 Bendable legs and swivel head allow you to position anywhere. Great for projecting on your tent or in your room! Multi Use - Also works to hold your cellphone for selfies or group pictures. Includes mount for action cameras.